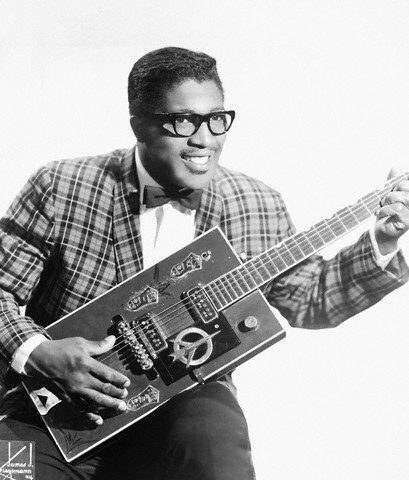 Bo Diddley had an enormous impact on the development of popular music, largely due to his emphasis on rhythmic elements. 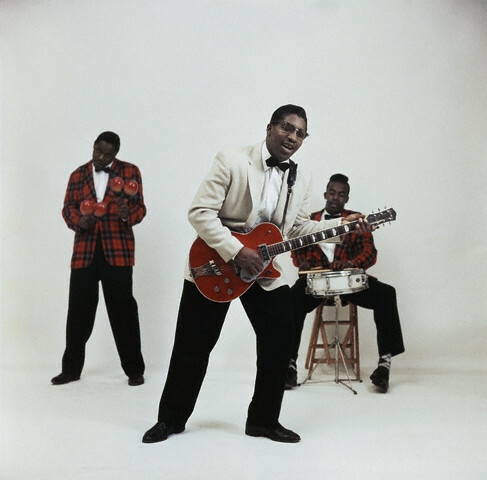 Bo Diddley in action on his signature Gretsch guitar --late 1950s. 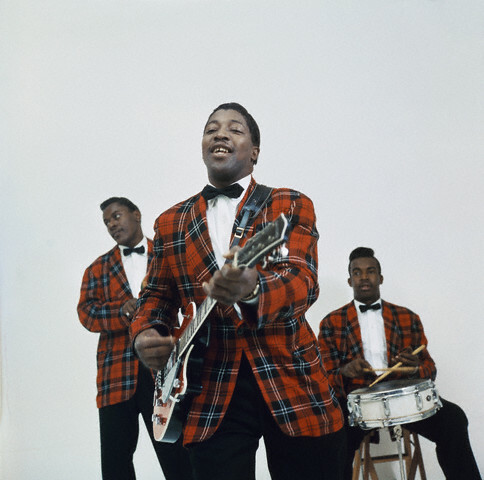 Bo Diddley on guitar with Jerome Green on the left playing maracas --late 1950s.